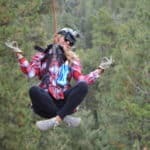 Ride Colorado’s Longest and Fastest ZIPlines then head on over to Colorado’s Best Beers to SIP and taste eight 8oz taster beers brewed locally in Colorado! Plan a private party or special event at Colorado’s Best Beers with the zip and sip option. 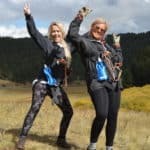 To book a zipline adventure with zip and sip, visit Denver Adventures and Zipline Tours and book a 4-zipline adventure or 6-zipline adventure and “add-on” the zip and sip at check-out or contact us by phone 303-984-6151. 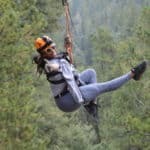 The zipline is open all year round! 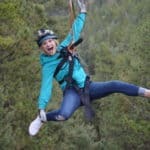 6-zipline adventure: Ride 6 long and exciting lines ranging from 850ft to over 1,900ft long at speeds up to 60mph between 30 and 250ft above the ground! We are located in a nature park at an elevation of close to 9,000ft! 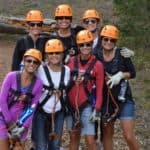 This tour includes a short scenic uphill nature hike, the two longest and two fastest ziplines in Colorado. Total trip duration is about 2.5 hours. 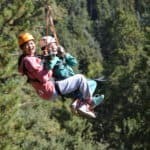 4-zipline adventure: On this shorter tour you ride Colorado’s longest zipline, fastest zipline, and 2 more lines usually in less than 2 hours. 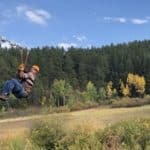 This tour is great if you don’t have much time but would still like to enjoy some great ziplines in the Rockies.